“Finding Dory” is the seventeenth Pixar/Disney film. A couple of weeks ago, while we sitting at home one night, we decided to play a game and rank the films in three groups. We had a ranking of the James Bond films and one for the Marvel Cinematic Universe, and we also ranked all the Pixar films. The three of us participating had very similar rankings for the most part, but we averaged them together to come up with a list that represented our families opinion of the films. The only one we had not seen is “The Good Dinosaur”, and we still had it ranked higher than “Cars 2“. I feel pretty save with that because Pixar has only disappointed us the one time, and although “the Good Dinosaur” was not the usual box office bonanza, I did not read any disparaging reviews on line like I’d seen for the Mater Movie. “Finding Nemo” ranked number ten on our list of films, not because it is inadequate but because of films like “Wall-e”, “Ratatouille” and “The Toy Story Trilogy”. That said, there was reasonable hope but also a certain trepidation about another sequel. “Monster’s University” did not besmirch the reputation of it’s predecessor, but it was for the most part well made but unnecessary. The same can be said for today’s film. It is beautiful to look at, there are charming characters and the story expands the universe we saw in the original in some inventive ways, it just is not as compelling, coming after the first film. The plot is basically the same as “Nemo” but with some role reversals and retrograde backstory. “Dory” it turns out is not a mature fish per se, but more like an adolescent. This feels like a slight alteration of the tone established in the first film and might cause me to have to look at Nemo from a new perspective. I don’t think that was the intention of the film makers her. 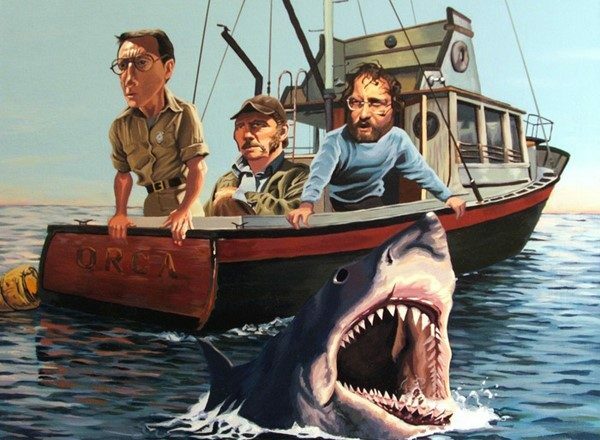 The strongest element in the movie was choosing to set a majority of the action in a Marine Aquarium, [More like Monterey Bay than Sea World]. The movement of the action to this location results in a greater variation in the characters and plot line than we start out with. There are some clever visualizations of the layout of the Aquarium and the creatures that reside there. “Dory” was clearly the breakout character in the original, if there is a third film in this series it will certainly be “Finding Hank”. He is the octopus who engages with Dory at the Aquarium and his character design and the gags they provide for him are the highlights of the film. Ed O’Neill provides the voice and his sonorous dead pan is a good match for the characters somewhat morose view of the world. As an isolate he is matched with Dory, who has such a high need for affiliation that it is sometimes a little irritating. I don’t know if he will be an appealing plush toy, but he certainly worked as a comedic character in today’s film. Marlin and Nemo are back as part of Dory’s circle of friends and they are the ones who are trying to find Dory. Albert Brooks neurotic Dad is still effective but we know he has grown as a character in the first film so it comes as no surprise that he willingly pursues this quest in spite of his misgivings. Nemo is a spark plug igniting his dad to action but also helping him figure out their next moves. It was an interesting change in their dynamic and it worked for the most part. Dory herself is a character that must change in both films to avoid being a complete irritation, but those changes are more clearly explained and processed in this story. Sometimes the writers use some shortcuts to get us to the next point, and those usually involve a sudden increase in Dory’s ability to recall certain details. 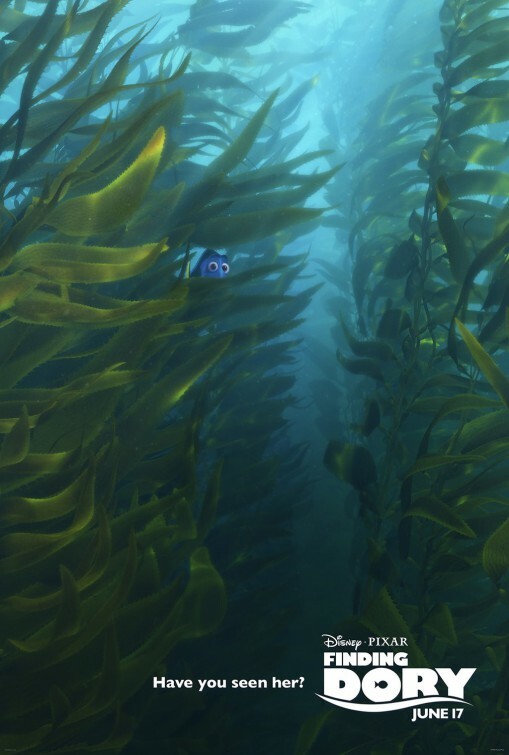 I can say that little Dory, appearing in the opening sections and in occasional flashbacks, may be the cutest thing in a Pixar film since “Boo”. She is definitely going to be on the shopping lists for the Christmas toys this year. The “Mine”, “Mine” caterwaul of seagulls is replaced by a new catch word delivered by characters that are a lot more fun, and they steal several parts of the movie from the main characters. Otter cuddling will be a thing after kids see this movie, so there is another chance for some toy sales. I don’t mean to imply that the film is just a cash grab, using familiar characters to recharge toy product marketing. There are some good themes about family and loyalty that are presented in the movie. We have to learn to trust what works and we need to question what we are sometimes settling for. Those are good points but they are not the main reasons the movie works. This film is a solid family entertainment, with a couple of surprises but mostly a comforting familiarity that kids and parents seem to crave. Do I want new and creative characters and stories? Of course I do. That doesn’t mean that I don’t occasionally want the comfort of recurring characters. As long as it is a cranky septuapus with Ed O’Neills voice and not Larry the Cable Guys naive and somewhat dim Mater.